Actiu participated, along with three architects, in a forum on Architecture and Product Design, organized by the College of architects, in Alicante (CTAA), in collaboration with the National Association for the Defence of Trademarks (ANDEMA), the Ministery of Industrial Energy and Tourism and the Spanish Office of Patents and Trademarks (OEPM), as one of the planned events of the exhibition MADE by ARCHITECTS. Marcelo Alegre, product designer for Actiu, was responsible for explaining the design process of one of the latest projects carried out by this brand, the operative chair STAY, finalist of the Delta Awards 2013. Marcelo Alegre indicated that he works with a strict methodology that contemplates the different uses of a product. “Keep in mind what the lifecycle of the product will be from the start, its production, its packaging, recycling, uses, security, comfortability, accessories....which provides the key to the final result” he told the participants. Antonio Maciá Mateu, president of CTAA, showed how architecture and design share synergies, including the need to meet rules, materials, establish a working methodology of phases and a common goal sought by the wellbeing of the people. Actiu identified and shared these objectives and for this reason maintains a close collaboration with CTAA which materializes in conducting training courses and workshops for the associates or by sharing their experience with the participation in forums and events which promote and advance design, architecture and sustainability. 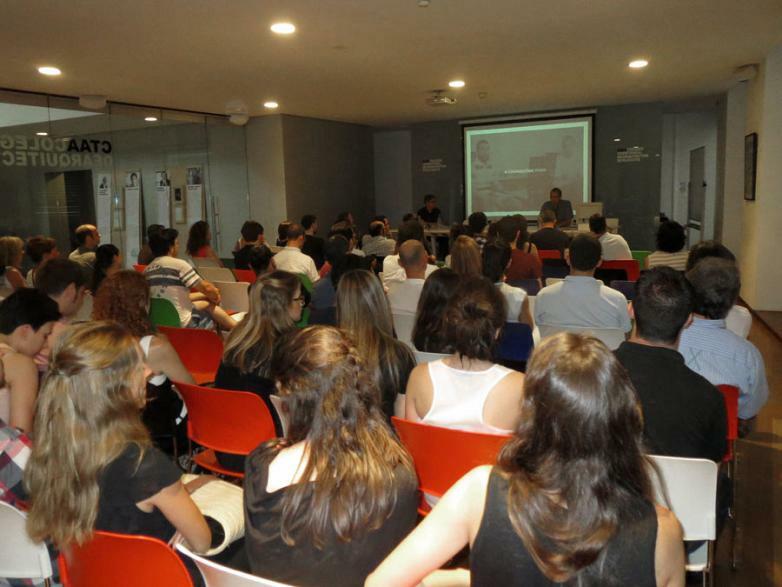 Of the three invited architects which participated in the event along with Actiu, Francisco José Gómez Velázquez from Alicante, explained his experience in product design starting from his knowledge of parametric and topography architecture. Secondly, Belén Pallarés surprised the participants with his presentation on ice-cream. Training architects and after working for a few years in that field, he decided to do a 360º turn and is currently applying his knowledge to the manufacture of ice-cream. Ramón Esteve, internationally reowned architect with extensive experience in product design for brands such as Vondom, Vibia, Porcelanosa and De Castelli, provided the last conference. With the title “Concepts, Processes and Things” explained that his vision of the products through art and nature on which it bases itself to define its work.